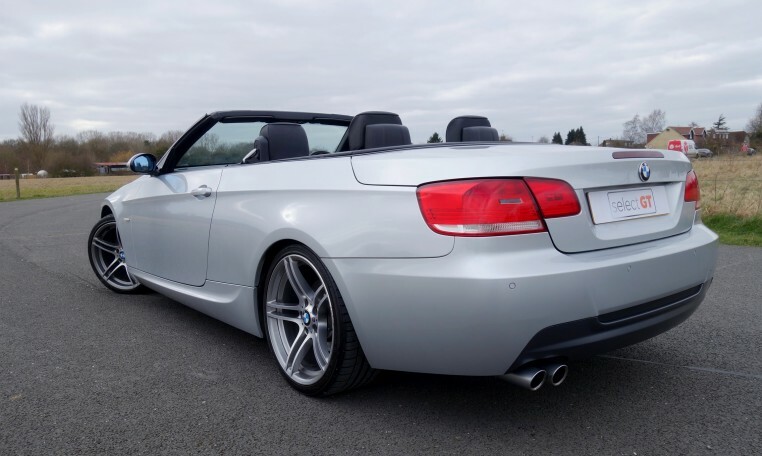 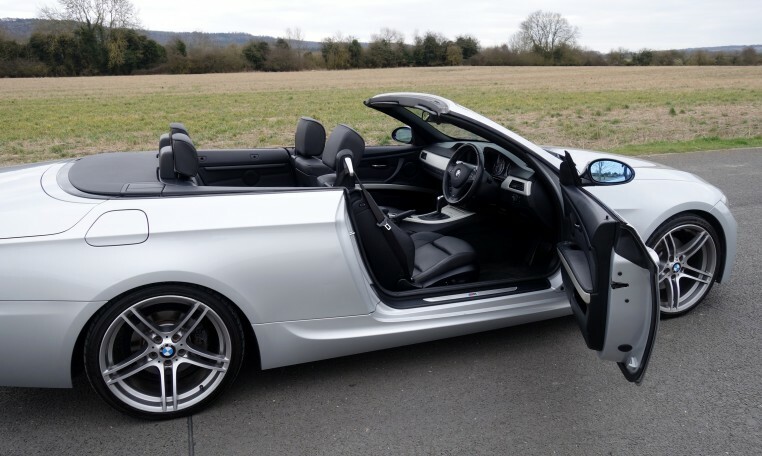 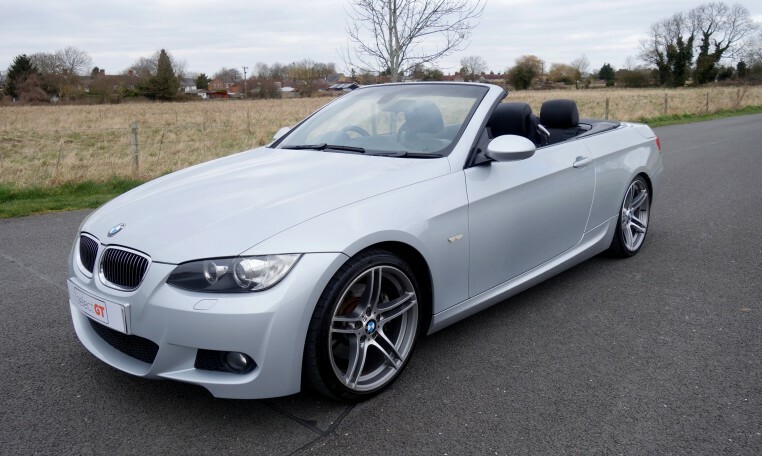 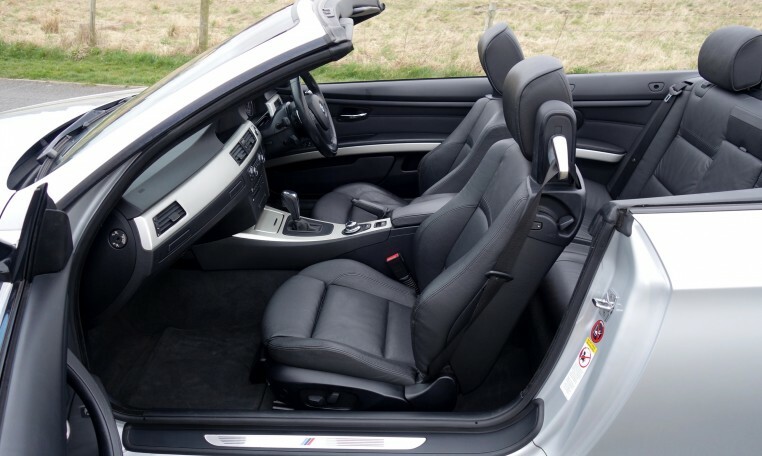 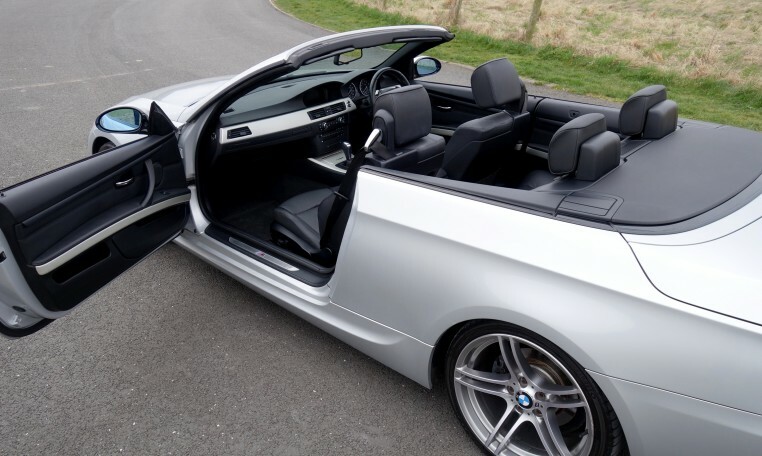 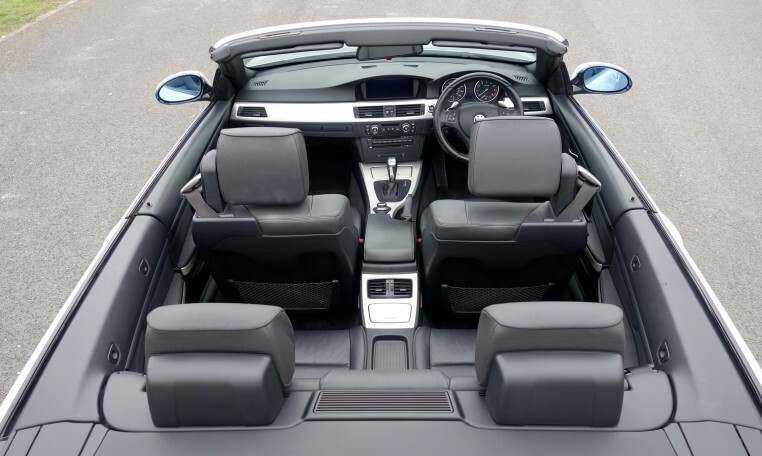 A superb 2008 325i M Sport Convertible finished in Titanium Silver with Black Dakota Leather Interior and Brushed Aluminium Trim. 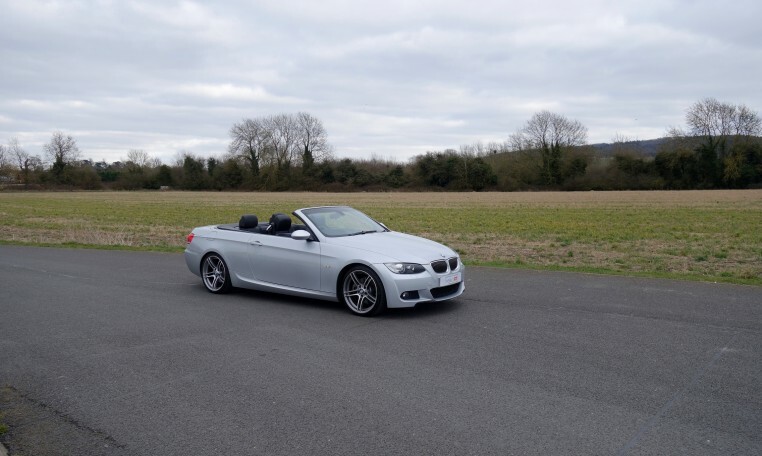 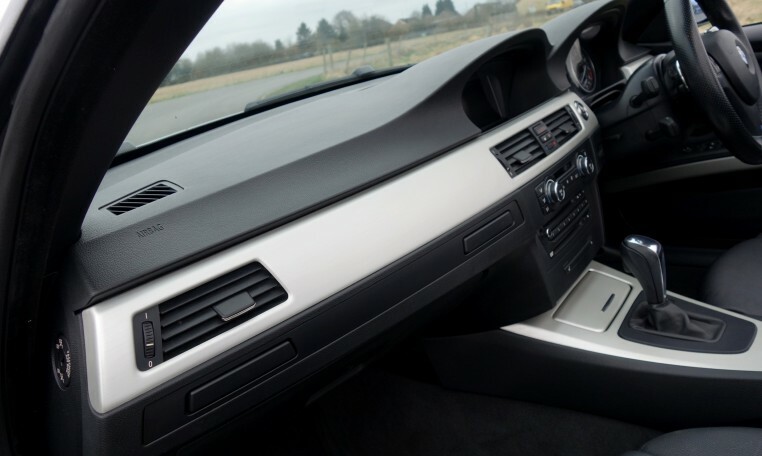 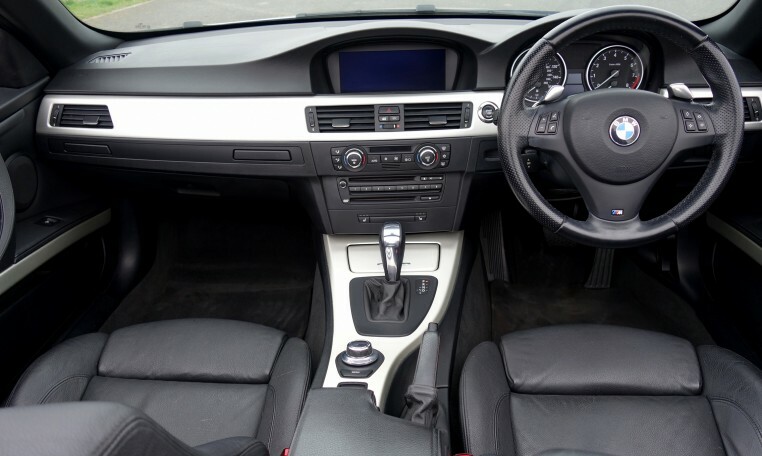 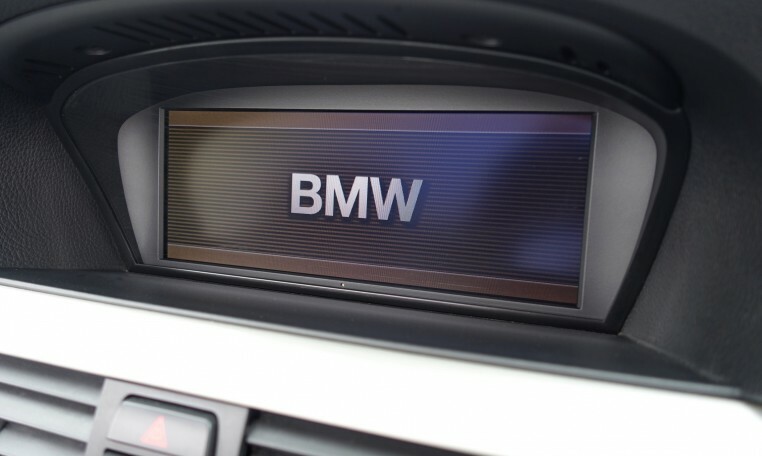 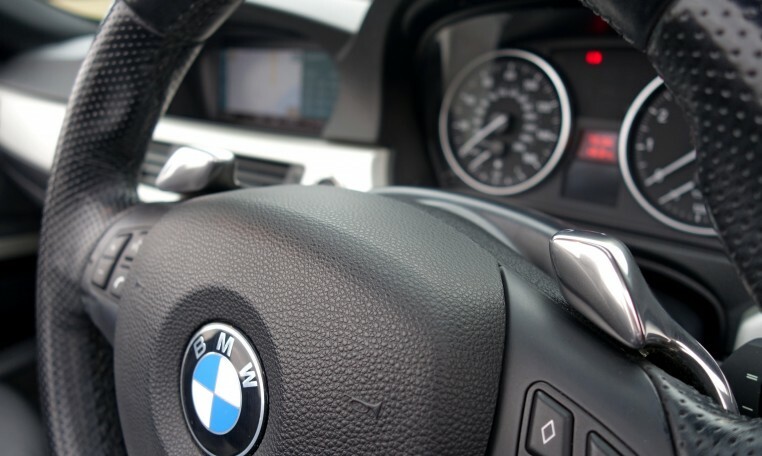 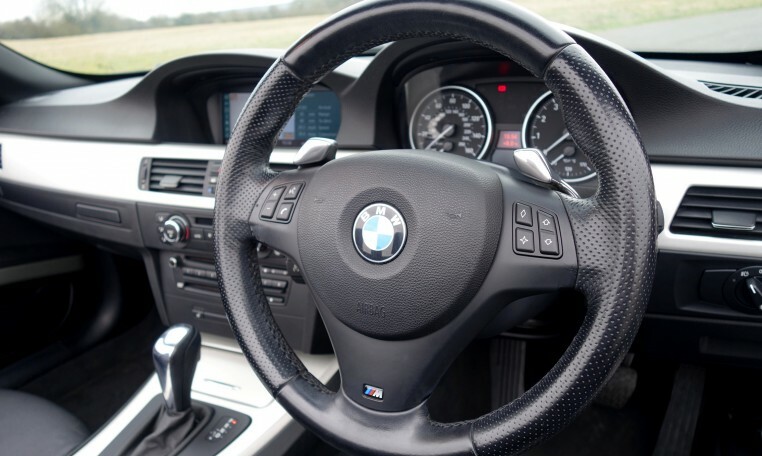 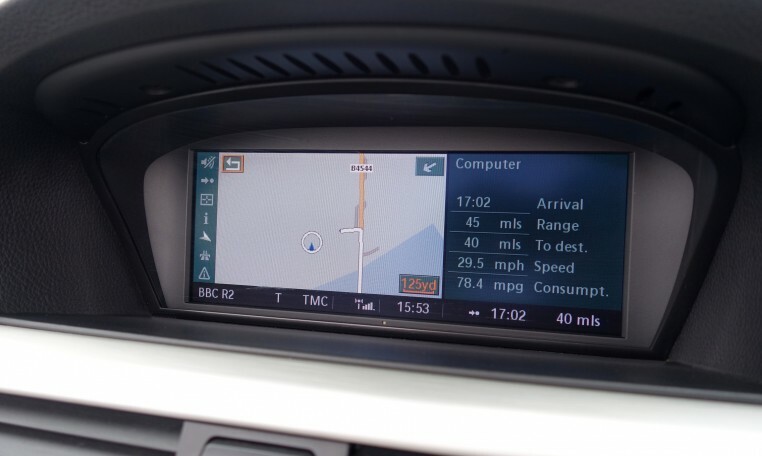 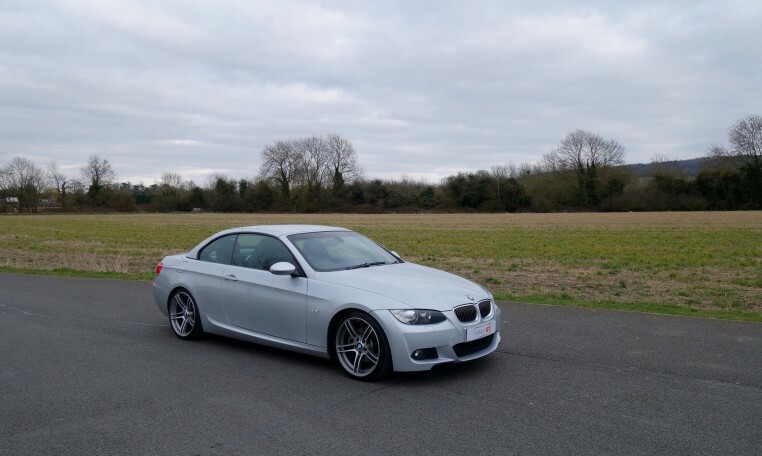 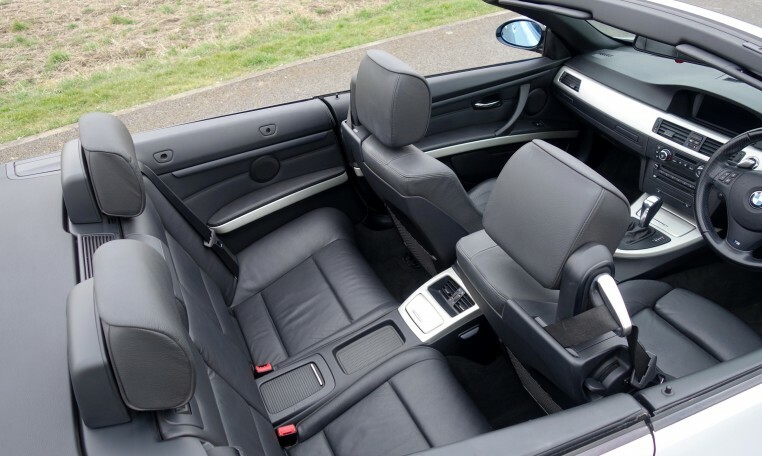 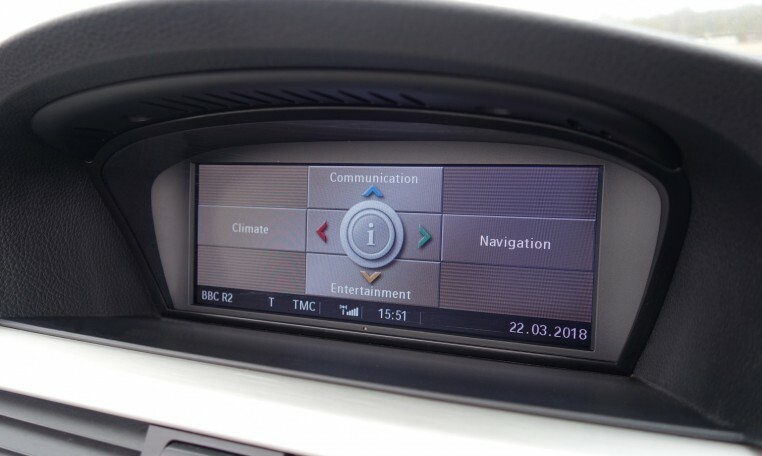 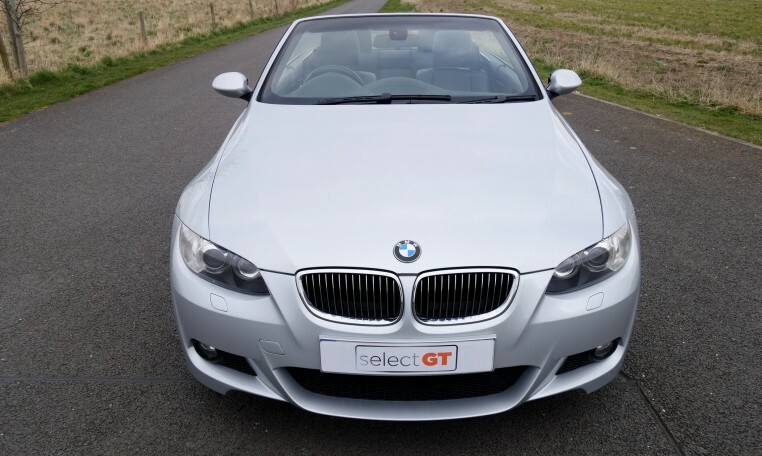 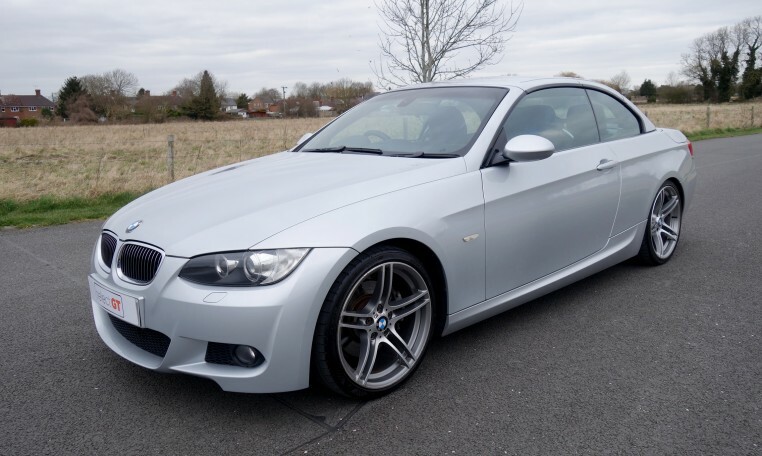 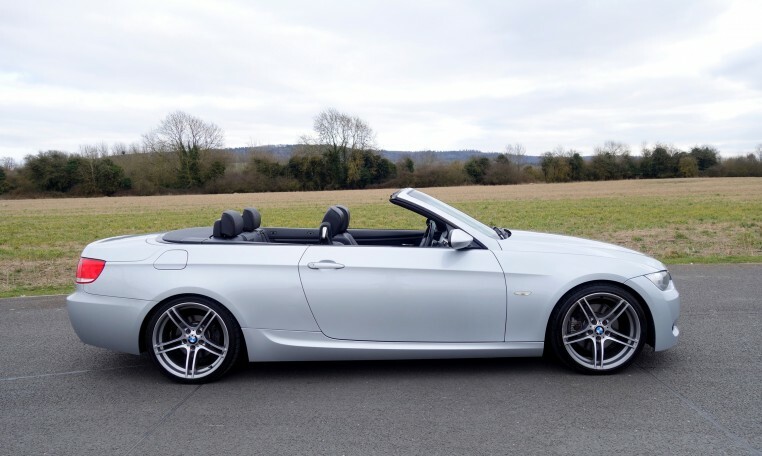 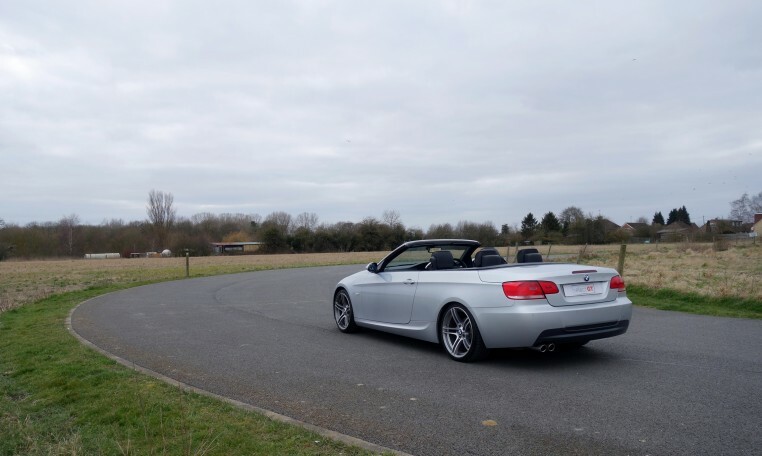 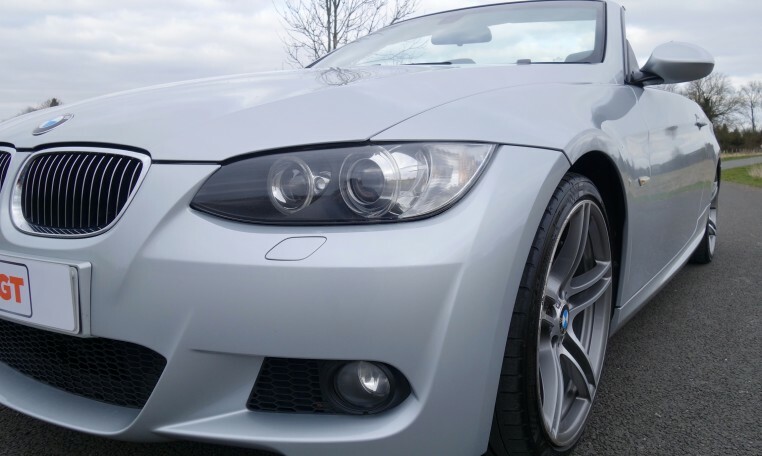 This example is fully loaded with options such as BMW Navigation System Professional, Bluetooth Phone Prep, Electric Heated Sports Seats with Driver Memory, PDC Park Distance Control and Xenon Headlights with Wash. 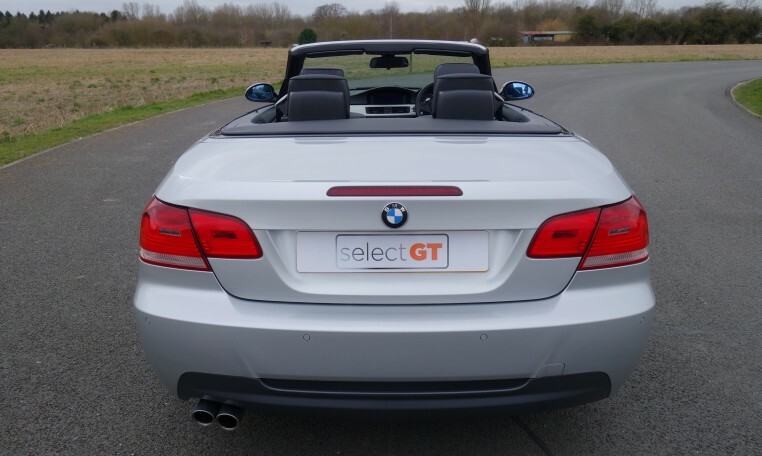 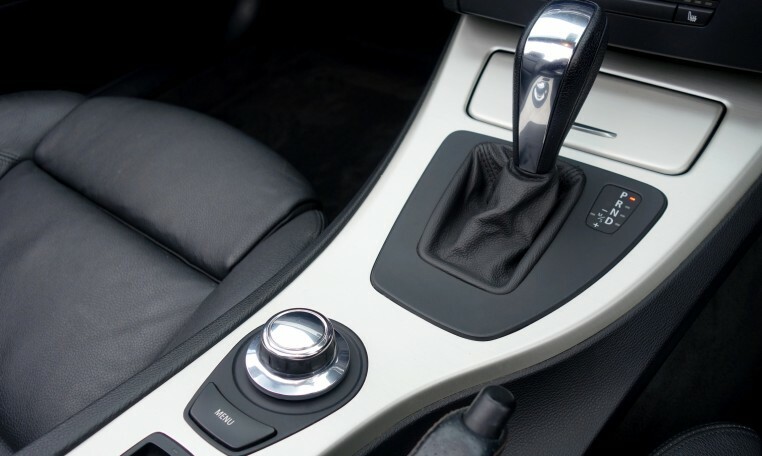 This great looking car is powered by the 218bhp, 3 litre straight 6 petrol engine coupled with a 6 speed automatic transmission that can be controlled from the M Sport steering wheel. 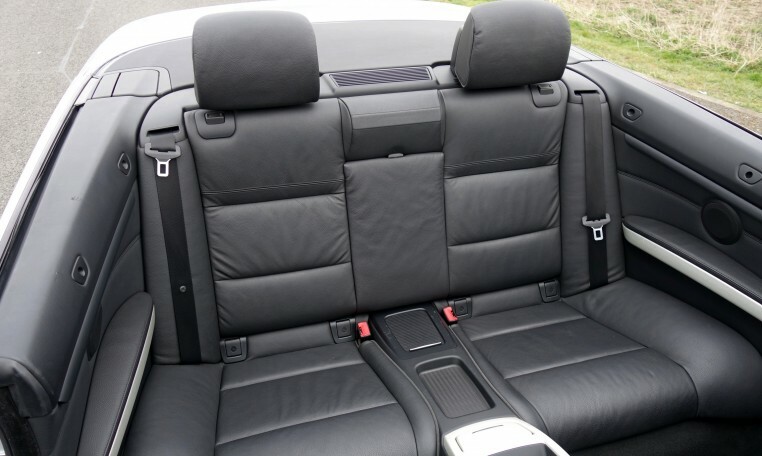 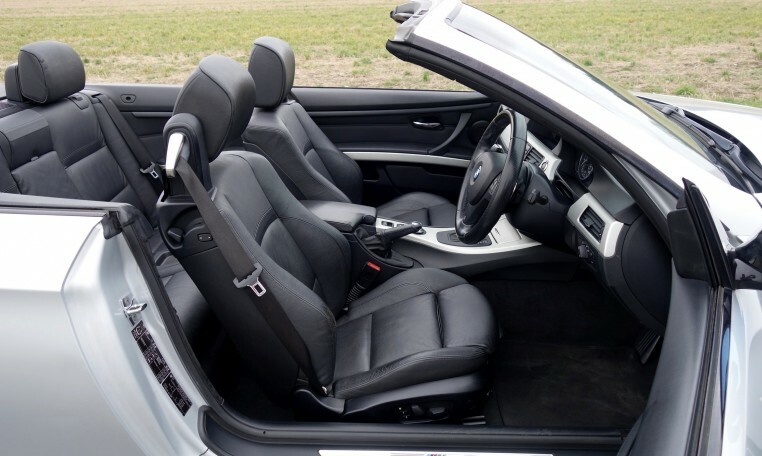 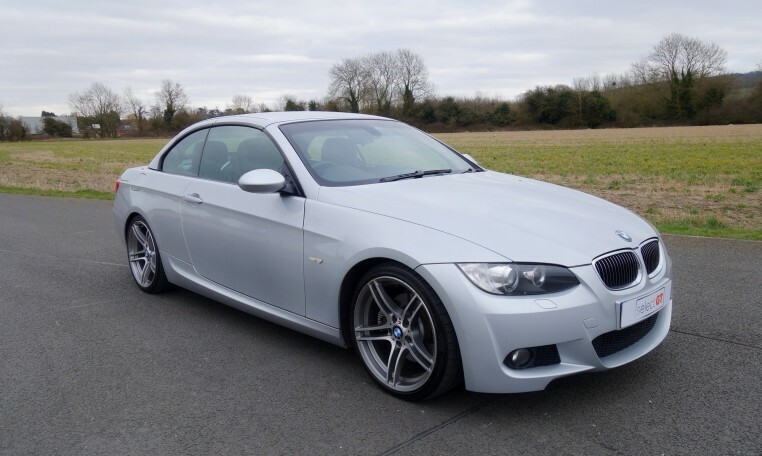 Other features include Full M Sport Package, M Sport Leather Steering Wheel with Gearshift Paddles, Electric Folding Hardtop Roof, Rain Sensor with Auto Light Headlight Activation, Cruise Control with Brake Function, Extended Interior Light Package, Brake Energy Regeneration, Voice Control, Automatic Air Conditioning, BMW Connected Drive-Assist, BMW Connected Drive-Online, Auto-Dimming Rear View Mirror, ISOFIX, Front Fog Lights, Electric Windows and Electric Mirrors. 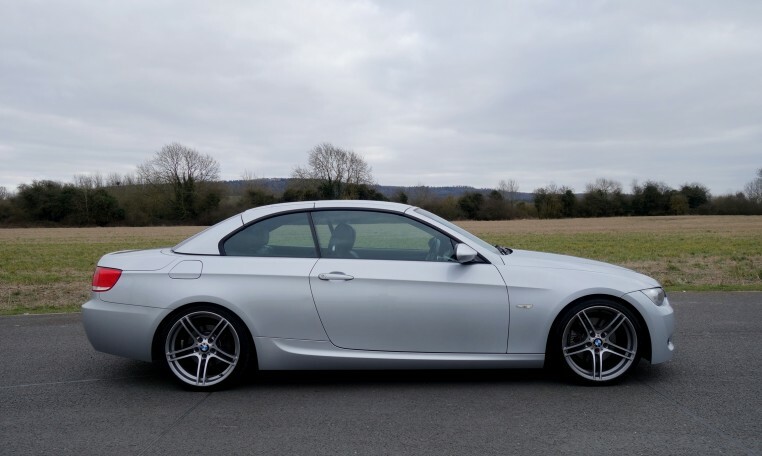 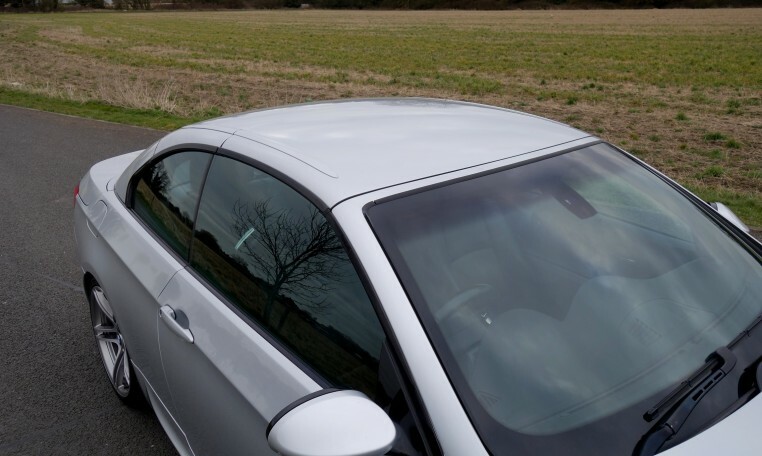 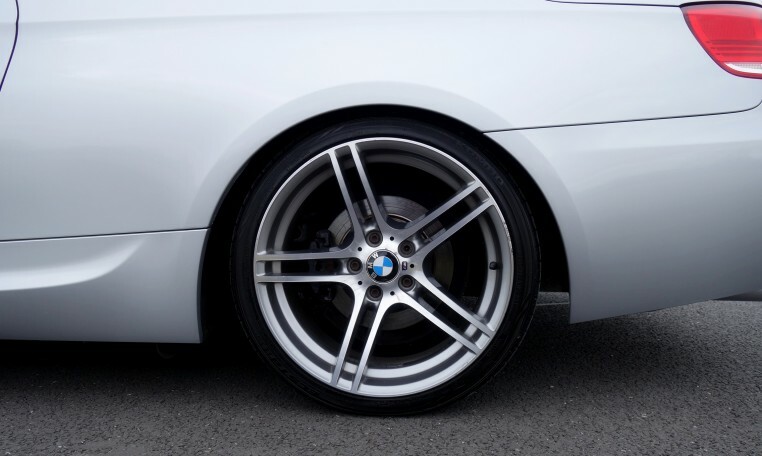 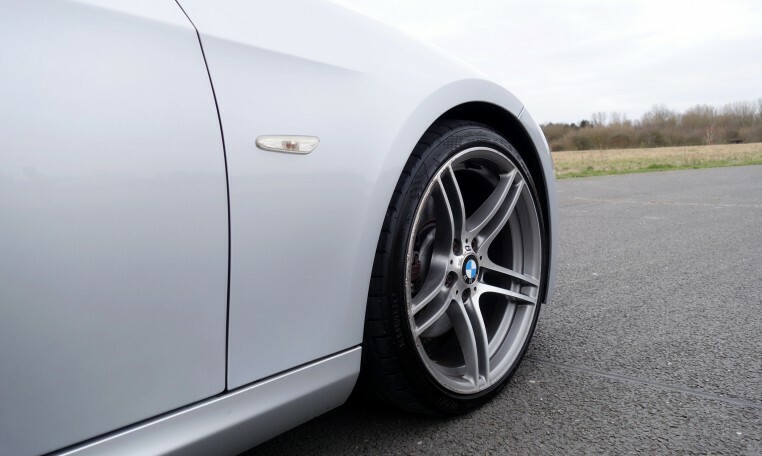 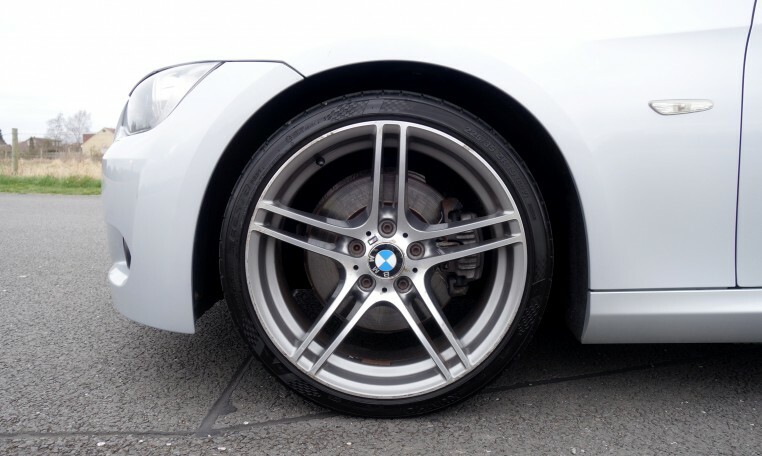 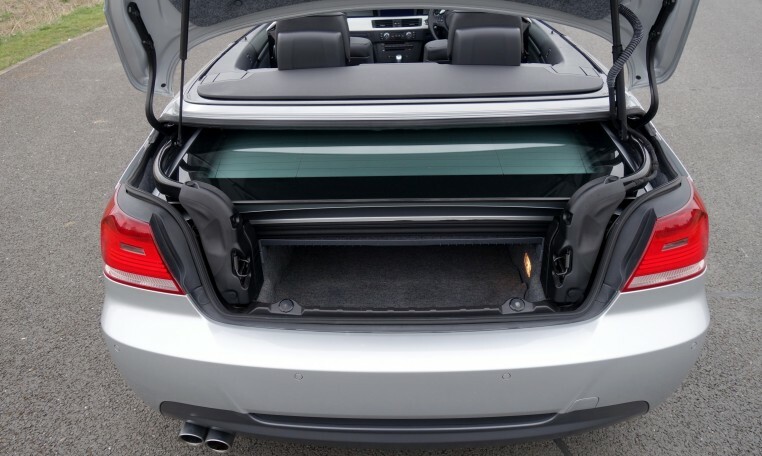 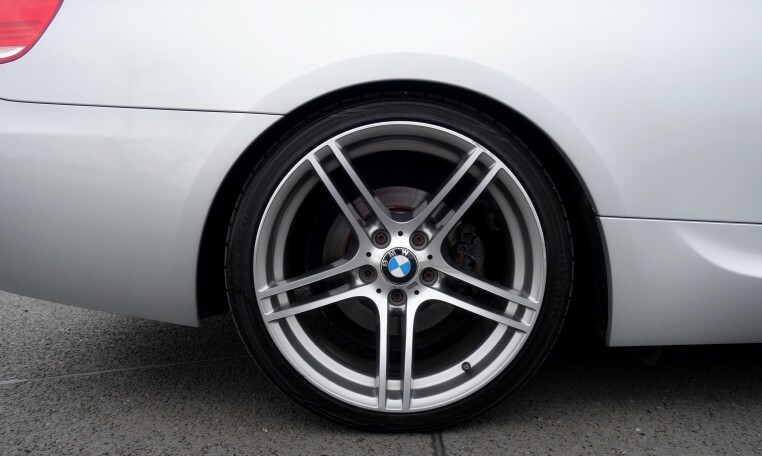 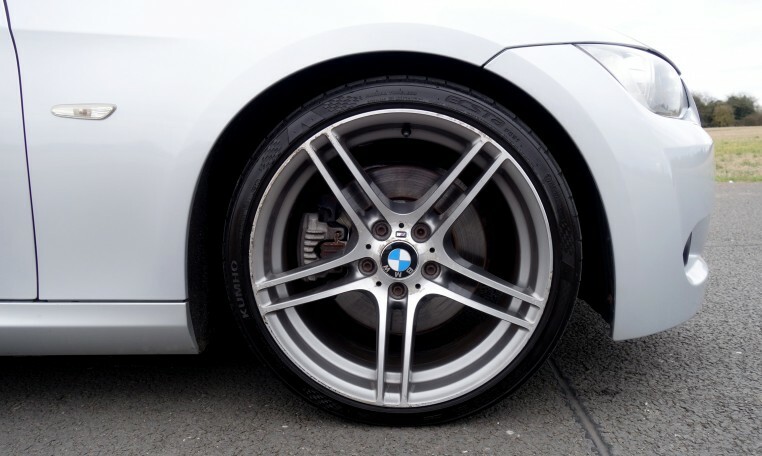 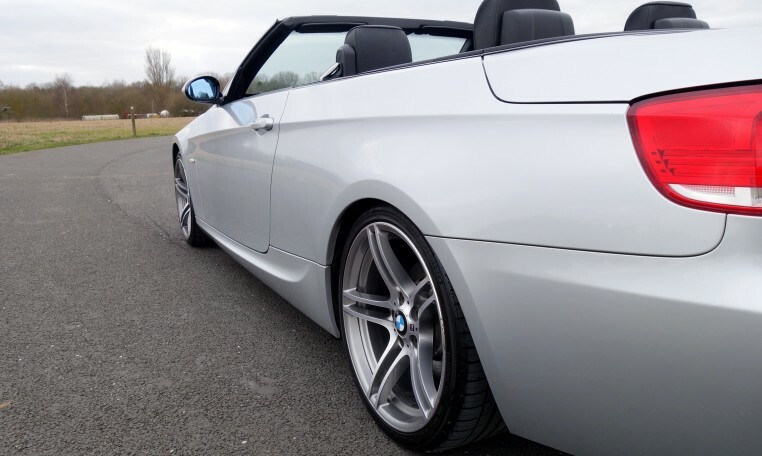 Visually the car benefits from 19” Double Spoke 225 Alloy Wheels, M Sport Suspension, M Aerodynamic Bodystyling and High Gloss Shadowline Exterior Trim. 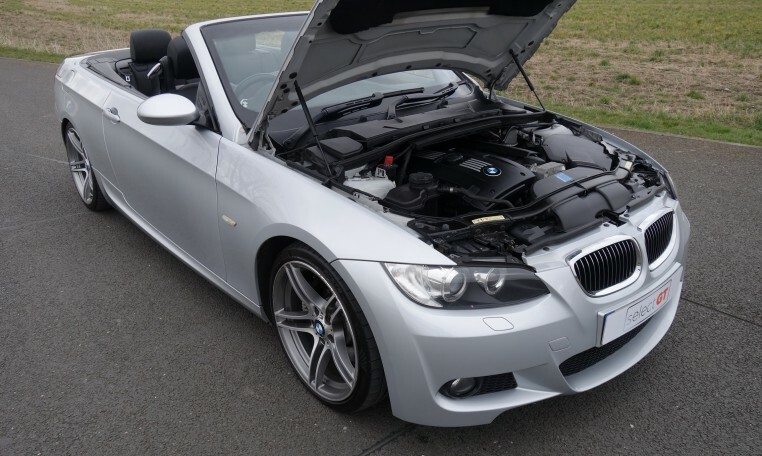 This example has covered 106,000 mile and is supplied with a full service history including a service that has just been completed. 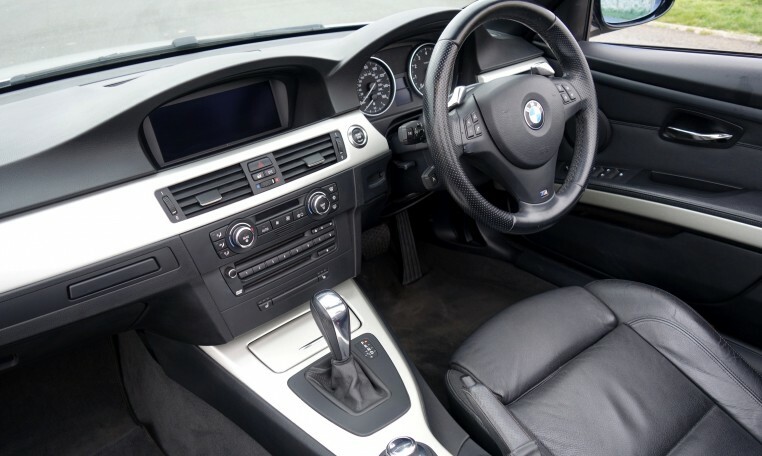 Additionally, it has MOT until February 2019, 2 remote keys and the original leather folder with all manuals. 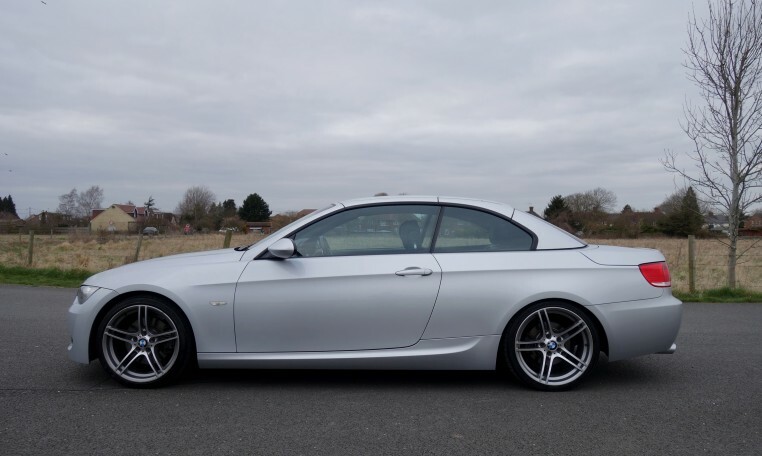 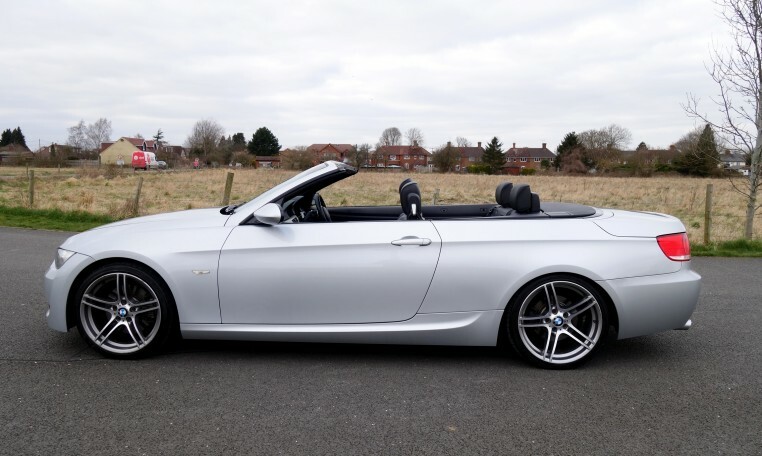 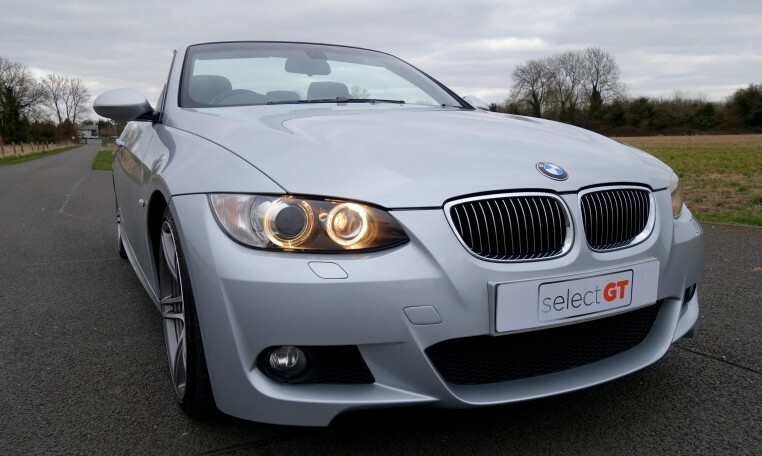 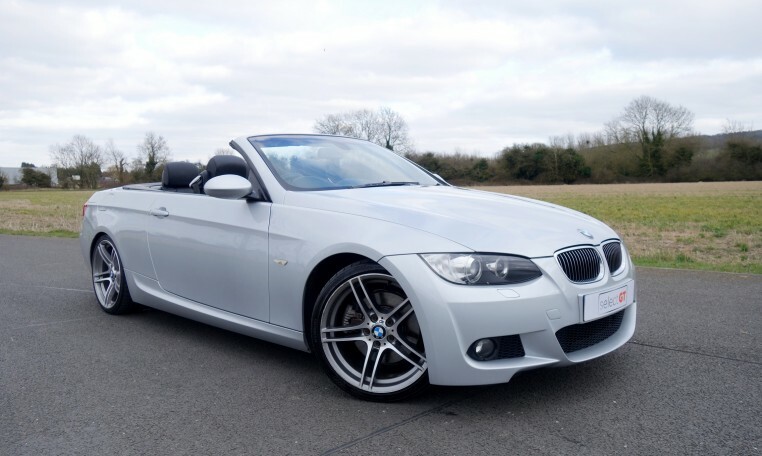 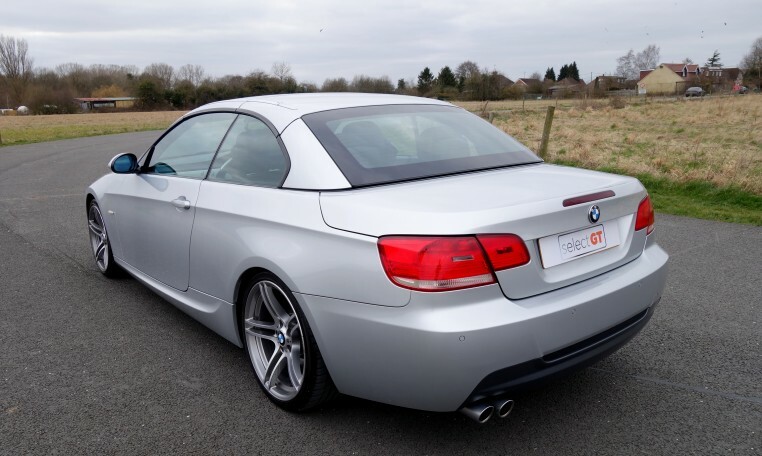 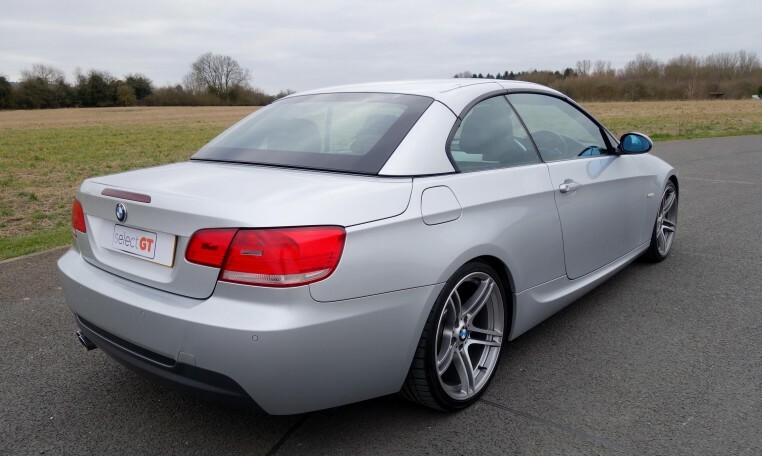 An absolutely perfect tool for the summer, this 325i M Sport looks and drives superb and is not to be missed. 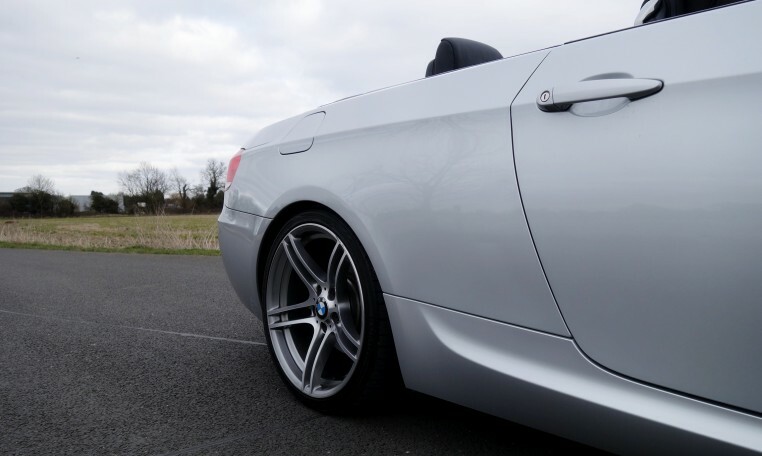 45 High-Resolution Photos on the website.